The rise of the energy sector over the last decade is pretty clear, as well as the harder times hating agriculture right now. It is a pretty steep decline for the mining sector, again due almost completely to the slowdown in the oil industry. 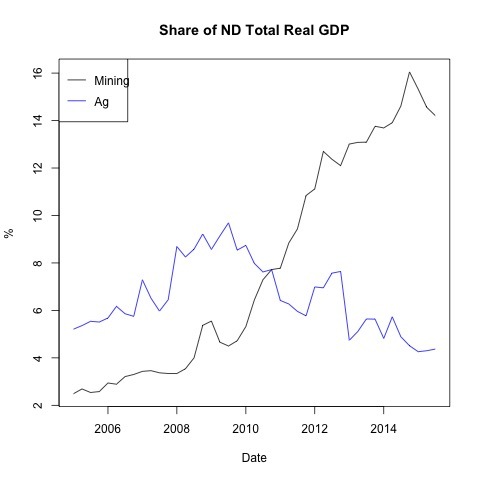 Despite that decline it is still the case that currently, a large gap exists between mining and agriculture in terms of their direct contribution into state GDP.